Tuesday October 2, 2018, 10:30 A.M.
As World Medical Association (WMA) delegates gather in Reykjavik, Iceland, for its Medical Ethics Conference and Annual General Assembly, Canadian doctors are speaking out against a so-called neutral ethical stance on euthanasia. Canadian physicians say neutrality on euthanasia is a license to kill. The Canadian Medical Association (CMA) and the Royal Dutch Medical Association (RDMA) are presenting a motion asking the WMA to take a neutral stance on the ethics of euthanasia and assisted suicide. The WMA has long rejected these acts as unethical. Only 6 of 200 countries (3%) worldwide permit doctors to intentionally cause death, and the vast majority of national medical associations oppose it. As Canadian physicians, we affirm that the CMA position does not reflect our views and experience, and that a neutral stance is illogical and untenable. The CMA abandonment of its long-standing policy against euthanasia and assisted suicide, and adoption of a neutral position, influenced Canada’s 2015 Supreme Court ruling leading to 2016 legislation permitting euthanasia and assisted suicide. Since then, there is constant pressure to normalize and expand these practices and to abandon the safeguards instituted to protect vulnerable people. The government is looking into expanding euthanasia and assisted suicide to children and to people with mental illness and cognitive disorders. Doctors and hospitals are under pressure to provide euthanasia or to refer for it, even when it violates their fundamental principles. In the province of Quebec, the oversight committee revealed that 52 patients were euthanized without the required informed consent procedures being followed (2016-2017). No disciplinary measures were taken. The President of Quebec’s College of Physicians has expressed concern that patients may be choosing lethal injections because of the lack of palliative care. Dr. Catherine Ferrier, President of the Physicians’ Alliance against Euthanasia, warns the WMA against a neutral stance on euthanasia and assisted suicide noting that “neutrality” at the CMA led immediately to the promotion of euthanasia and assisted suicide in national and international forums. The Physicians’ Alliance against Euthanasia seeks to ensure quality medical care and respectful decision-making for vulnerable patients, especially those at risk of pressure to end their lives prematurely through euthanasia or assisted suicide, and to protect the professional integrity of all health care workers. 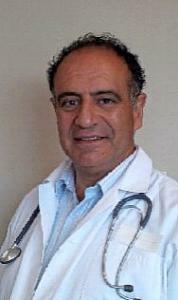 In Iceland: Dr. Sheila Harding +1 (306) 229-5379; Dr. Paul Saba +1 (514) 886-3447.